Audrey Snyder is a west-coast transplant, living and making art and food in Brooklyn, Ny. 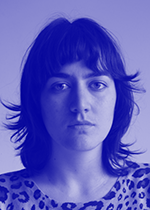 In her work she explores notions of site-specificity and storytelling through an interdisciplinary practice. Her projects involve performance, sculpture, and printmaking to tease out psychic and economic arrangements of the built environment. She recently biked on abandoned railroads in California, built ceramic water filters for New York City-dwellers and is constructing a stone hearth on Rabbit Island, MI.